The TWI Standard Working Chute is one of the Strongest Working chute's available today. It is a heavy duty, all steel unit, built to take abuse. The frame is of 2" square and 2 x 3” rectangular tube, high strength steel tubing: with all stress points reinforced for added strength and durability. The rumber floor is standard, with cleats every 6" to provide extra traction. 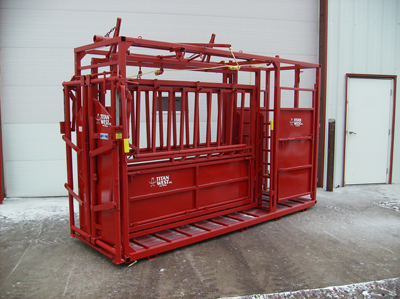 The chute's size is large enough to handle the exotic breeds, yet versatile enough for calves. 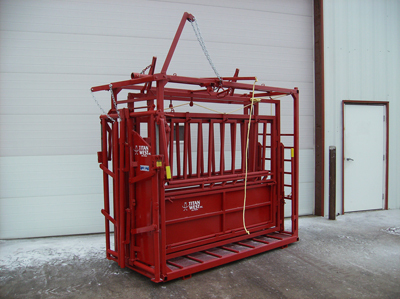 The Combo AI Chute has all the features of the working squeeze chute with the addition of a palpation cage with a common floor. 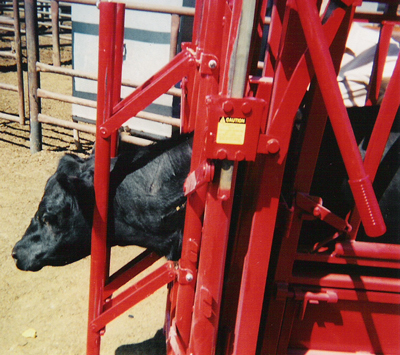 The palpation cage is accessible from both sides. It is adjustable in width and will attach directly to TWI's Circular Working Facility.